Find a unique wedding gift for your loved ones when you choose a precious metal dipped or glazed rose from Eternity Rose. Many people find weddings difficult because it seems like there are too many rules of etiquette to follow. However, all they really boil down to, is an occasion that celebrates the concepts of love, thoughtfulness, beauty, sensitivity and commitment. So when considering a gift to purchase for the happy couple, something that captures the combination of all these qualities is the key. Sounds easier said than done? Well read on for the answer. 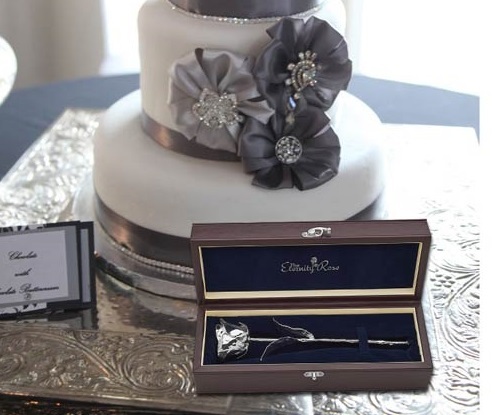 Many couples enlist their wedding gift requests online or in department stores so that guests can buy them the perfect silverware or cooking set of their choice. Though these registered lists are to be used as a guide for the guests, this does not mean you cannot choose another gift of your own. The register is primarily for the benefit of those who don’t have the time to shop around and/or think about what to give. In reality, many couples truly appreciate it when someone gives them a meaningful and unique gift from the heart. 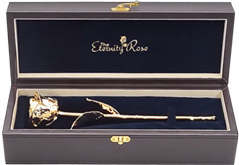 When searching for a gift that will truly commemorate the couple's special day, people are increasingly shopping online to buy a gorgeous Eternity Rose. These natural roses are preserved and either plated in 24 gold, platinum or silver, or otherwise come in a range of beautiful colours that are glazed and trimmed in 24 karat gold. Whether in a beautiful accompanying vase, or in the luxurious leather display case that the rose arrives in, the rose can be on display to serve as a reminder of the couple's eternal love. The planning process of a wedding can often be arduous. With most couples working full-time, it can be difficult to find the time to plan. Fortunately, there is a wealth of information available on the Internet. 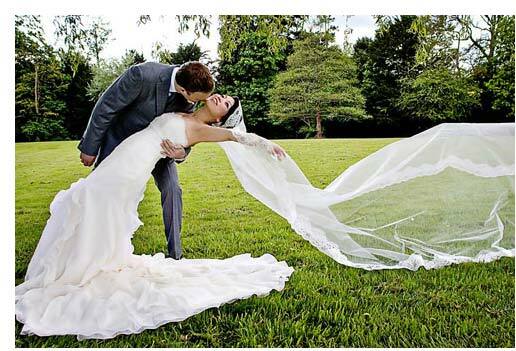 This allows couples to easily plan their complete wedding with limited stress. Couples can plan all of the details of their ceremony and reception from their computer. Finding vendors and choosing the perfect venue are easier when done online. Couples can also register their gift list online, and purchase special gifts for members of their wedding party. Choosing the most appropriate and attractive decorations for your reception is easy with our exquisite Eternity Roses. Many couples purchase these roses in a variety of colours to adorn the guest and bridal tables. Instead of live flowers that fade away quickly, Eternity Roses last forever and add that special touch to your wedding décor. Eternity Roses can also be presented to guests towards the conclusion of the special day, so they can fondly remember the wedding forever. To view how these unique Eternity Roses can be presented on your special day, simply click here on Wedding Displays. Who Receives a Gift on the Big Day? It is customary for the bride and groom to give each other a special gift to celebrate their commitment to being joined as husband and wife. When choosing a gift for your soon-to-be spouse, why not choose one that is enduring and will be an eternal reminder of your love? 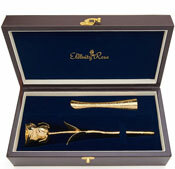 Many customers purchase our beautiful Eternity Roses coated in silver, platinum or 24 karat gold. The stems can be engraved with any sentiment you like so that the two of you will always have a reminder of the day your two hearts became one. 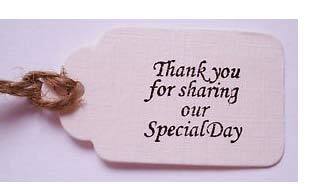 Today, many couples are offering their parents a special gift on the wedding day. Honouring the parents with gifts is a newer tradition that has become quite popular. A beautiful Eternity Rose symbolises your love and respect for your parents, and the bond you enjoy, even though you are beginning your own life and potentially a new family. 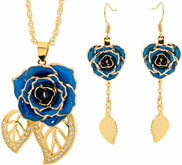 These roses are proudly displayed by parents as a reminder of their child's special day. The bride's attendants are given special gifts as a thank you for their service throughout the wedding. Thanking these wondrous ladies with a meaningful gift allows them to know how much you appreciate all they have done for you throughout your engagement and wedding. 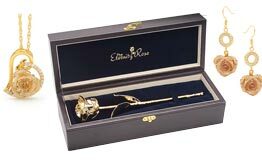 Choosing an Eternity Rose is the perfect way to thank them while giving them a beautiful flower memento that will last a lifetime. Just as the ladies provide services for the bride, the men of the wedding party offer their support to the groom. The best man typically schedules the bachelor party and keeps the groom calm on his wedding day. These wedding party members dedicate themselves to carrying out many tasks to help the groom enjoy his special day. 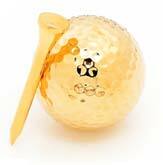 Thanking your best man, groomsmen and ushers with a gold-dipped golf ball and tee set, or a deck of gold-dipped poker cards is the perfect way to let them know how much you appreciate them. Whether they choose to use these special sets, or proudly display them, they will always remember your gift and what it symbolises. The tradition of offering gifts to those in your wedding party is one that allows you to express your true admiration for all of those who showed their support for you in the lead up to, and on your wedding day. In conclusion, The Eternity Rose makes it easy to purchase the perfect gifts and flower decorations for your special occasion. And by carefully packaging these gifts and offering a thoughtful hand-written note, the receiver of the gift will be forever grateful for your thoughtfulness in honouring them. © 2018 The Eternity Rose. All Rights Reserved.